Why Dental Implants Are the Best Option for Replacing Your Missing Teeth! A dental implant is an artificial tooth root that Long Beach dentist Dr. Marvizi surgically places into the jaw bone to function as the foundation for the replacement tooth, bridge, or implant retained dentures. This type of dental restoration for missing teeth has become quite popular, not only for Dr. Marvizi and other dentists, but an increasing number of patients also prefer dental implants over other tooth replacement options. Here’s why they are considered the #1 tooth replacement option among dentists and patients alike. Benefits of Dental Implants Over Other Tooth Replacement Options! High Success Rate – 98% success rate of dental implant therapy has been reported in scientific literature. Durability – dental implants are designed to last for a long time. With proper care and adherence to Dr. Marvizi’s instructions regarding their care, you can expect your dental implants to last for a lifetime. Convenience – similar to your natural teeth, dental implants are firmly anchored within the jawbone. Therefore, with dental implants, you can enjoy any type of food without worrying about dislodging your dentures. Aesthetics – with the help of dental implants, you can regain your beautiful smile! Porcelain crowns and bridges that closely match the color of your natural teeth can be placed over the dental implants that considerably increase your facial aesthetics and smile. Improved Speech – speaking clearly can become quite difficult if you wear dentures, since you have to continuously use your tongue to keep them from slipping. On the other hand, dental implants are fixed within the jawbone allowing you to speak in the same way as you would with your natural teeth. Minimal Bone Loss – wearing dentures can lead to a significant reduction in the quality and quantity of the jawbone due to a constant pressure exerted on the oral soft and hard tissues by the dentures. This is not the case with dental implants as they tend to promote bone formation in their surrounding regions. The placement of dental implants requires expertise, extensive planning, and attention to detail. Therefore it is usually carried out in multiple steps, however, contemporary dental implants are now also being placed in a single day. Here are the steps that Dr. Marvizi will follow in the dental implant process. The Planning Phase – before starting the procedure, Dr. Marvizi will perform a detailed examination of your teeth and will have a look at your medical and dental records to make sure that you are a good candidate for getting an implant. Administration of Local Anesthesia – since the placement of dental implants is a surgical procedure, a local anesthesia is administered to make the process pain free. If you’re anxious or afraid, conscious sedation dentistry may be used to help you relax. Placing the Implant – With our same-day dental implant technology, you can walk in with missing teeth and in a matter of hours walk out with a fresh new smile. At our hi-tech dentist office in Long Beach, we use Cone Beam technology to produce three dimensional (3-D) images of your teeth, soft tissues, nerve pathways and bone in a single scan. If you have missing teeth, Long Beach dental implant specialist Dr. Joseph Marvizi can help. Please contact our office at (562) 595-4123 or email us at JMarviziDDS@yahoo.com. We look forward to helping you smile and chew again with dental implants. 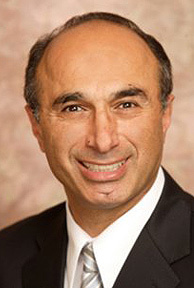 Long Beach dentist Dr. Joseph Marvizi, DDS is passionate about helping his patients achieve optimal oral health, which in turn, supports their overall health and well-being. If you have any questions about the dentistry services and procedures I and my staff provide here at our dental office in Long Beach, please give us a call at 562.595.4123 or send an email to JMarviziDDS@yahoo.com and we would be glad to answer any questions you might have.